They save AND you save! 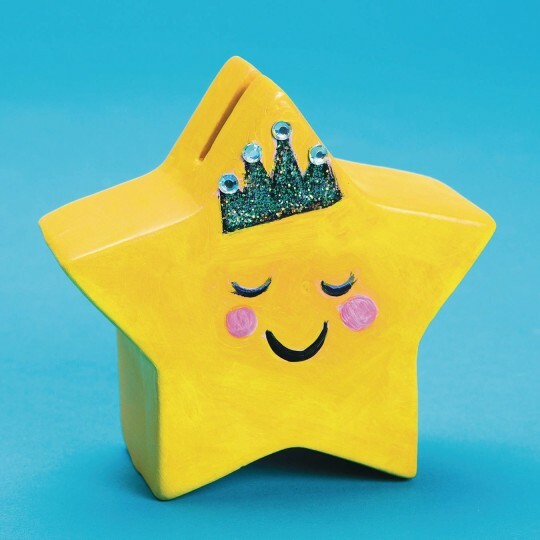 Ceramic star bank can be decorated with paint, markers glaze or more! Finished size is approx. 4" x 4" x 2"
They save and you save! 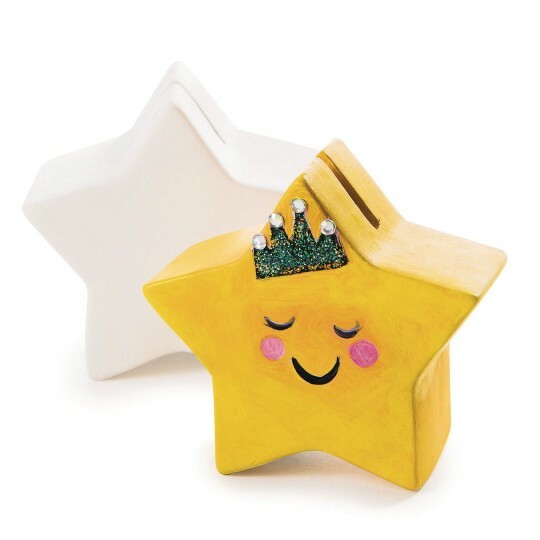 Use paint, markers or glaze to decorate this star bank! All decorating materials are sold separately. Features a coin slot on top and rubber stopper at the base. Finished size is approximately 4"x4"x2".